Gosani at Dolamandapa Sahi who is known as ‘Janhimundia’. 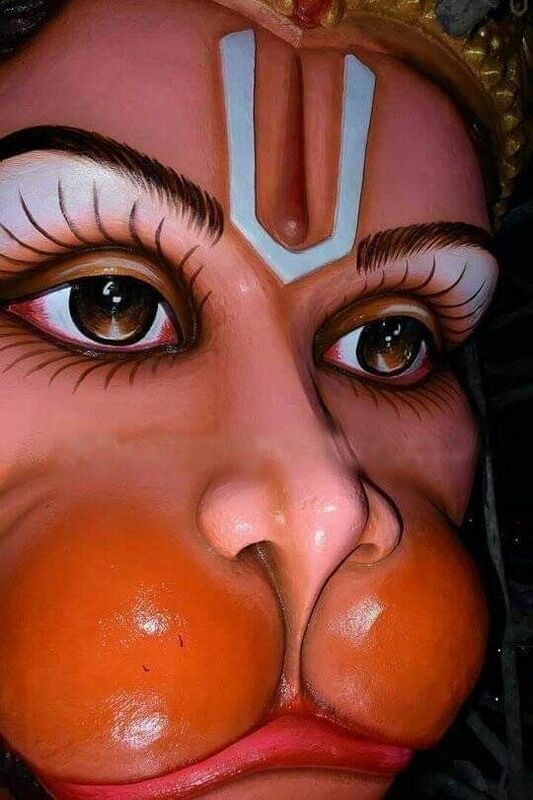 The image of ‘Janhimundia’ is the second biggest in Puri after Barabati Gosani. The height of her image is 16 feet 16 inches. 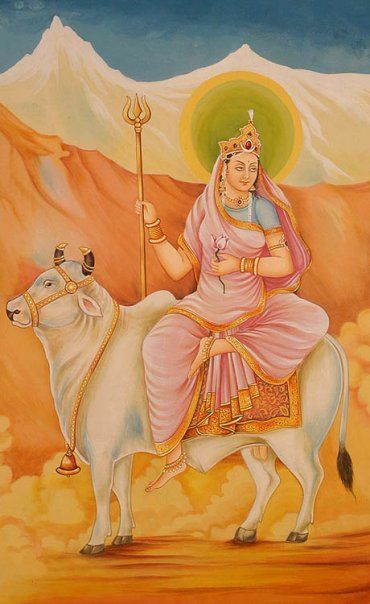 Here the goddess has ten hands and displays her usual attributes. The demon here is depicted in complete human form.. 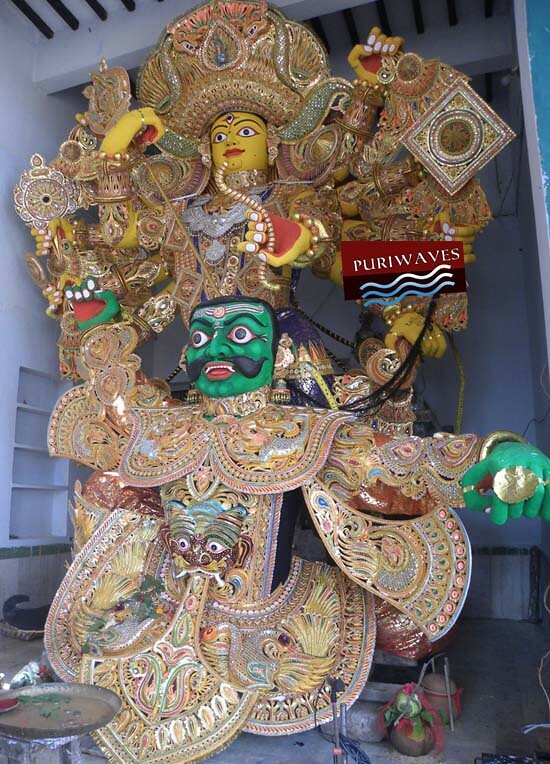 There are four places at Puri associated with risis such as Angira Ashrama, Bhrugu Ashrama, Kandu Ashrama, Markandeya Ashrama at Dolamandapa Sahi, Bali Sahi, Goudabada Sahi and Markandesvara Sahi respectively. Near these four ashramas there are mandapas where Gosani images are made annually. It is noteworthy that, they are all known as ‘Janhikhai’ except the Gosani at Dolamandapa Sahi who is known as ‘Janhimundia’. 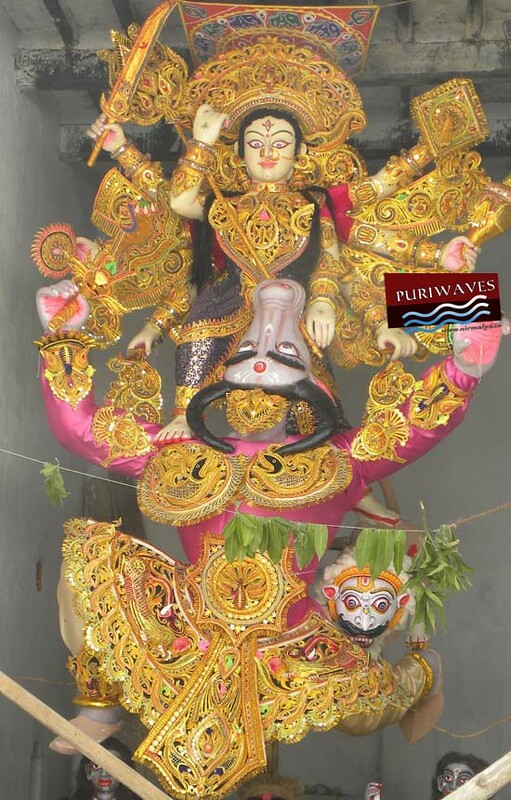 The image of ‘Janhimundia’ is the second biggest in Puri after Barabati Gosani. Here the goddess has ten hands and displays her usual attributes. The demon here is depicted in complete human form. 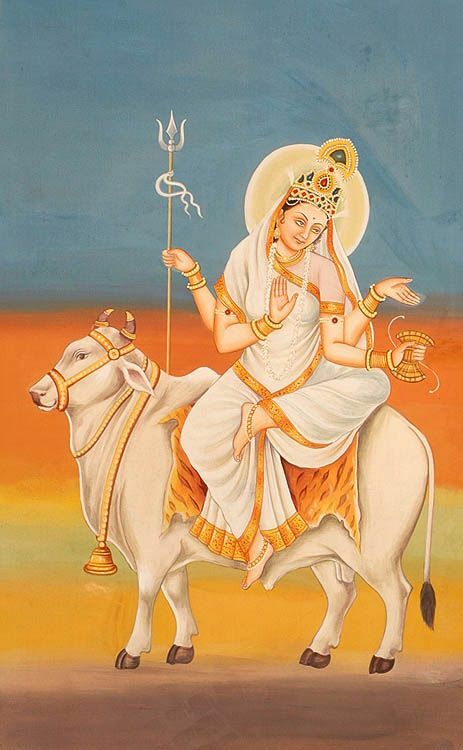 Interestingly she is worshipped in ‘Bhubaensvari mantra’. Besides this, there are two other ‘Janhikhai’ images, one at Bali Sahi and the other at Gaudabada Sahi used to be made during Durga Puja.